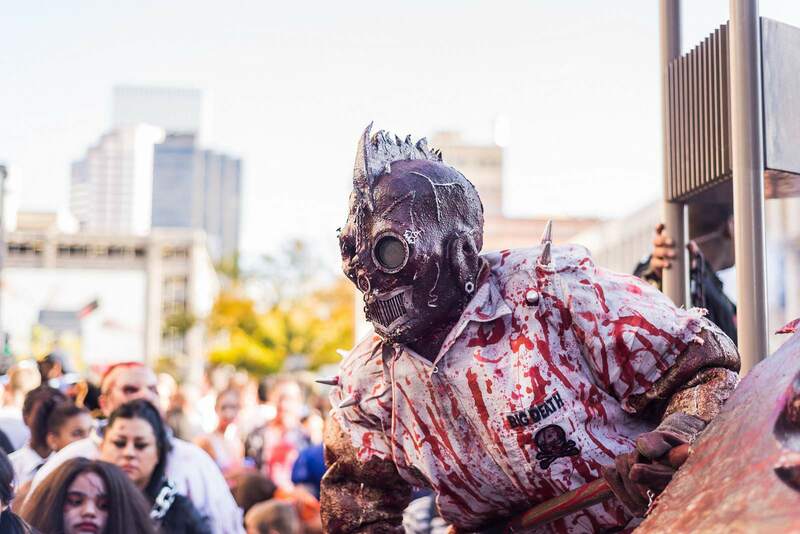 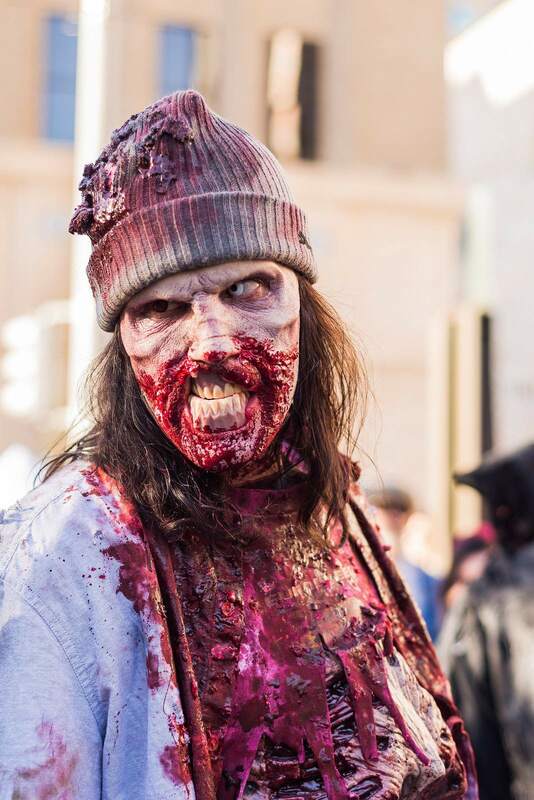 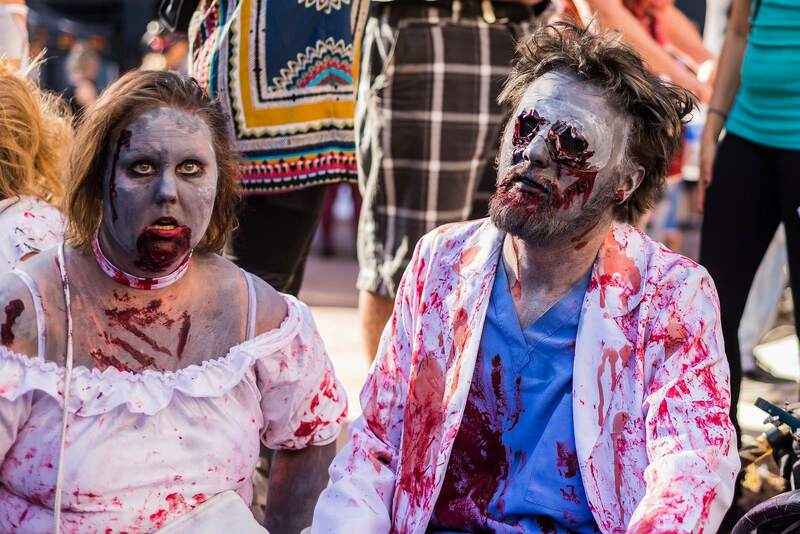 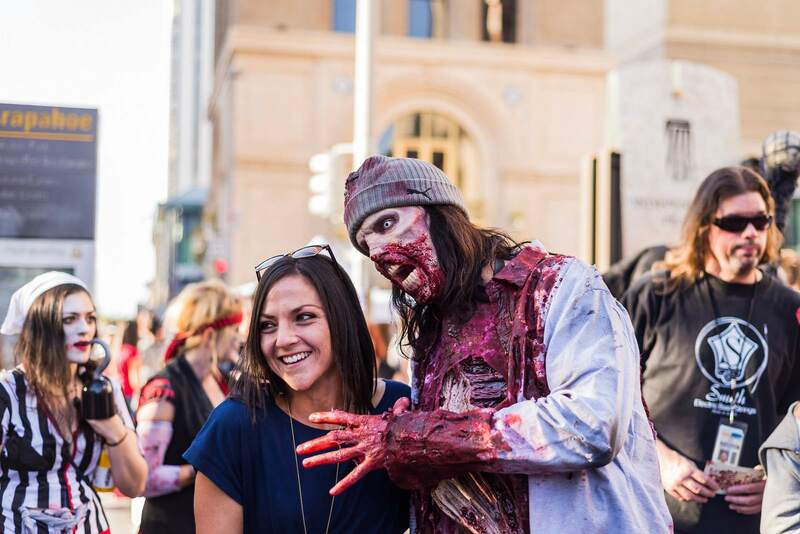 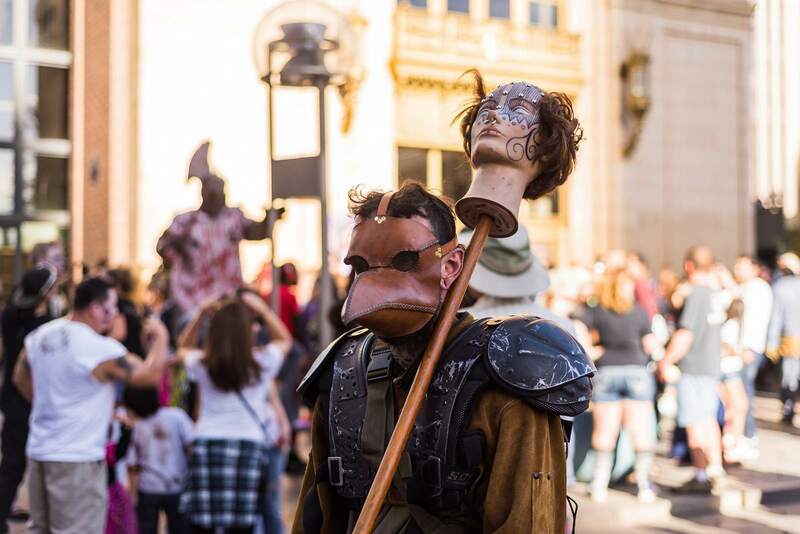 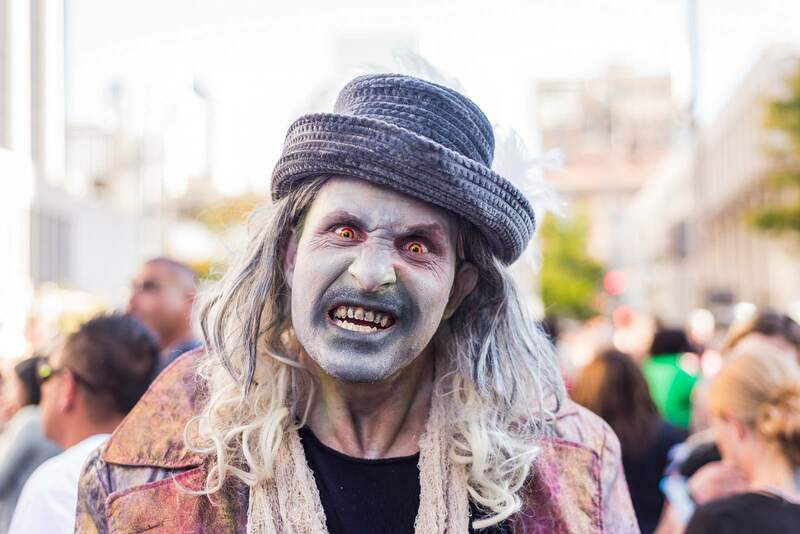 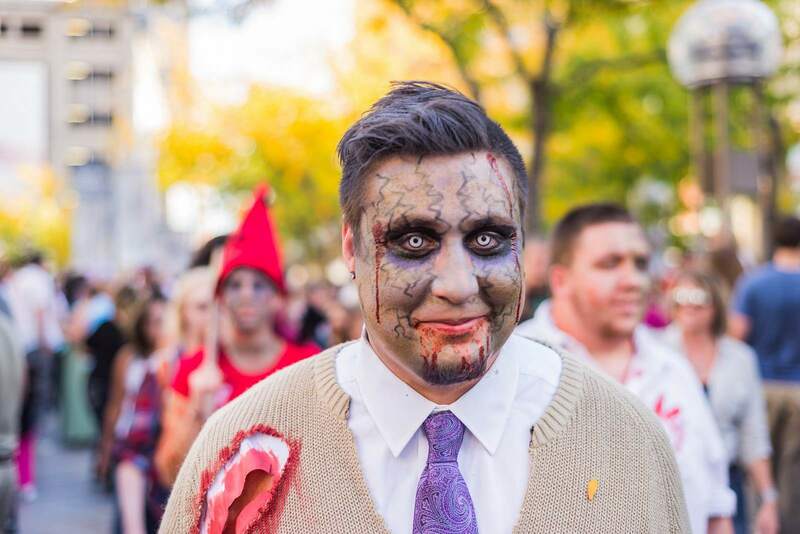 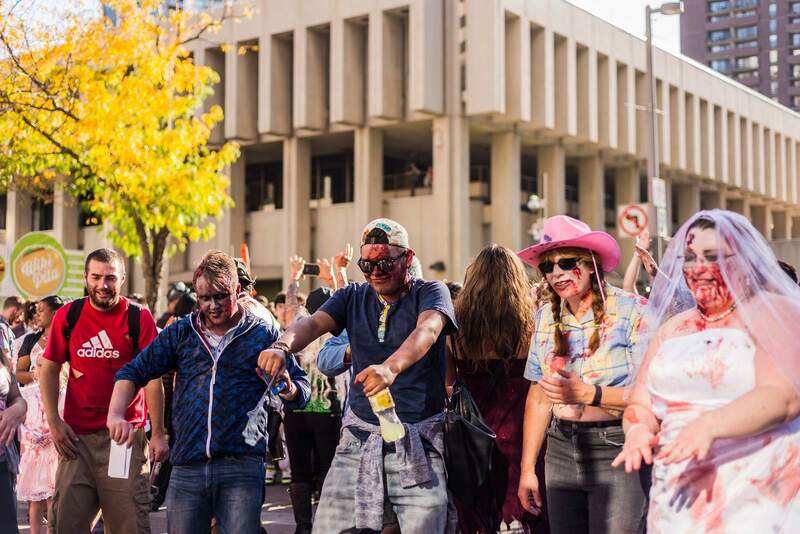 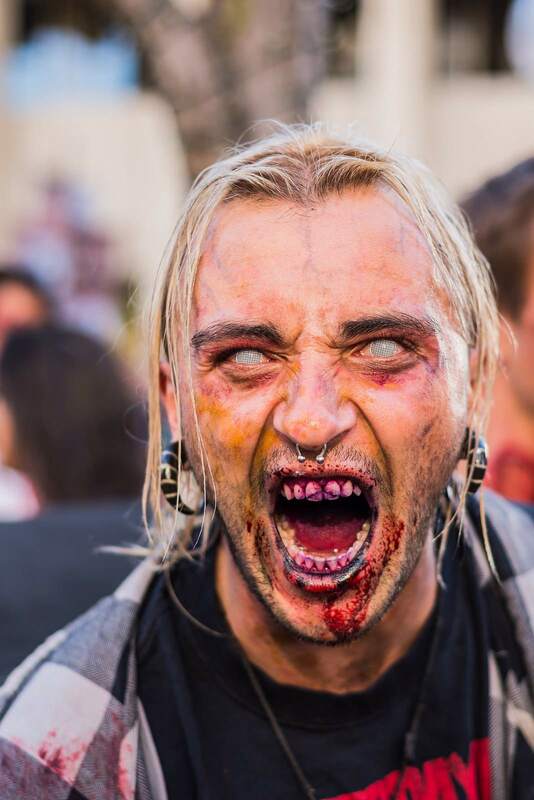 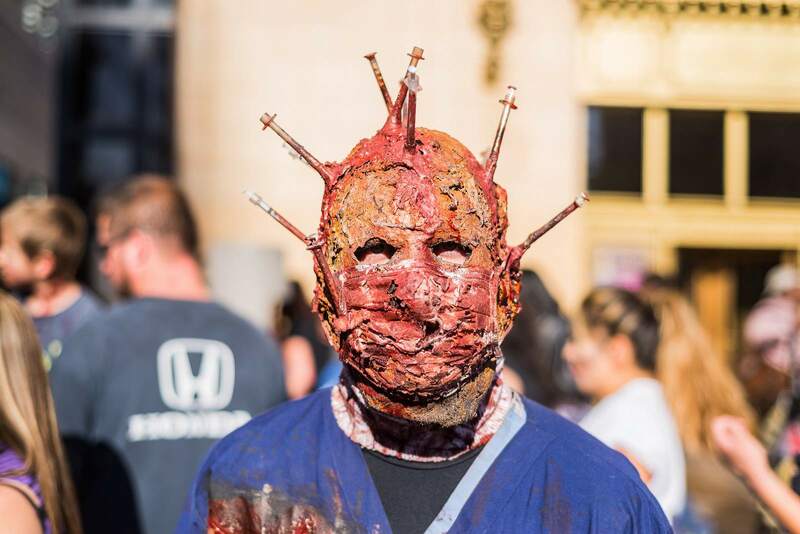 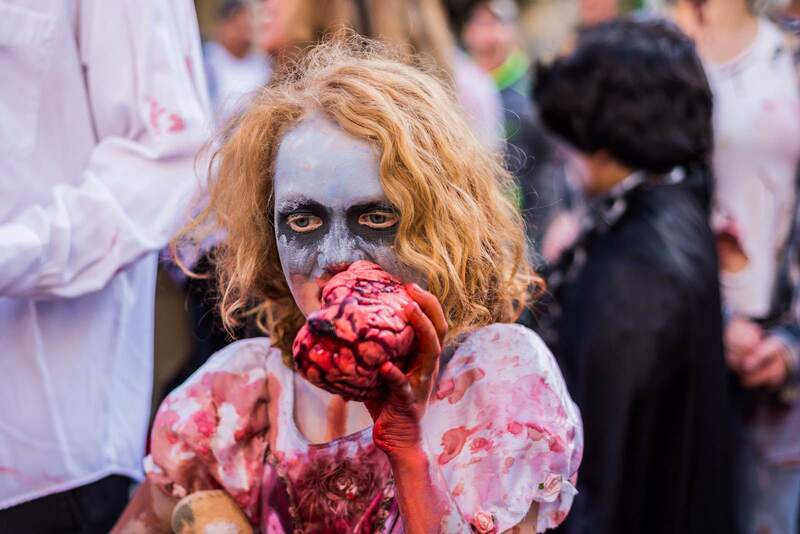 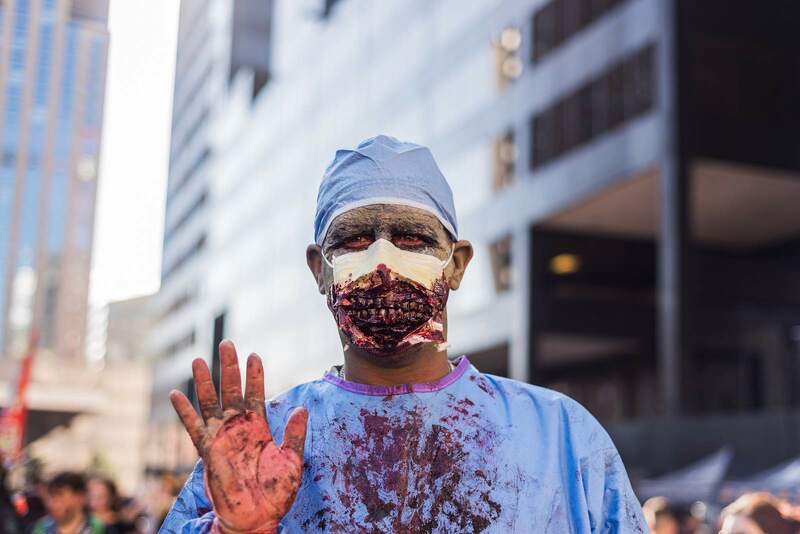 The largest Zombie Crawl in the country celebrated its tenth year of filling the 16th Street Mall in Denver with ravenous hordes of the undead. 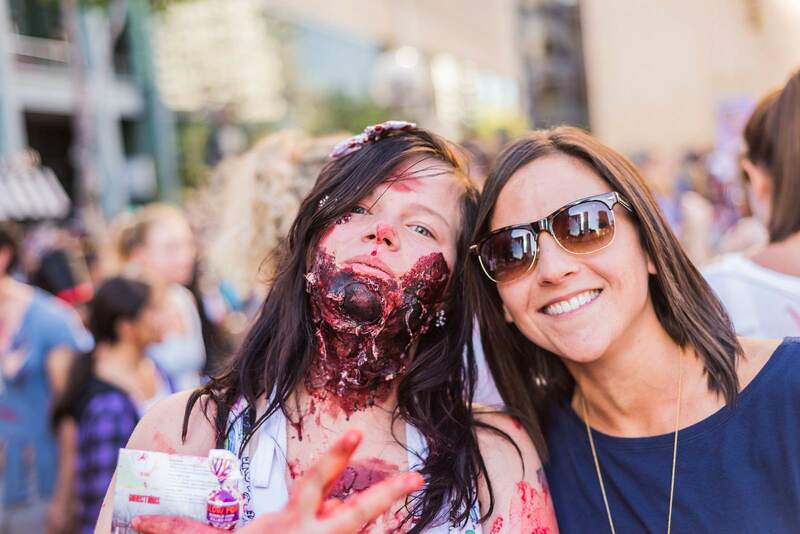 All types of bloodied zombies like nurses, brides, high school graduates and cartoon characters invaded the city. 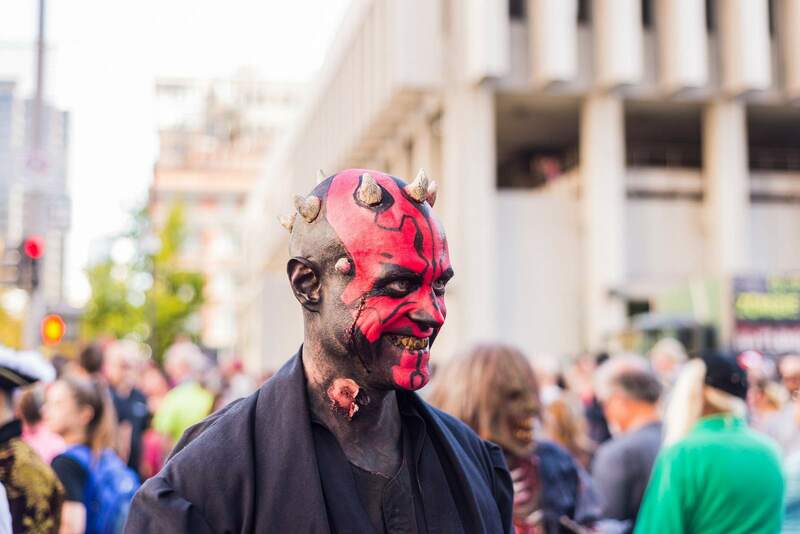 It is one of the most unique events in the city. 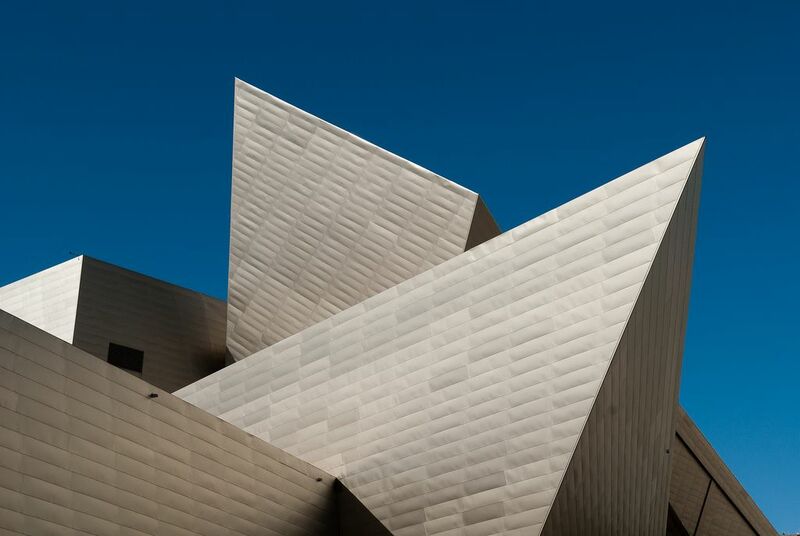 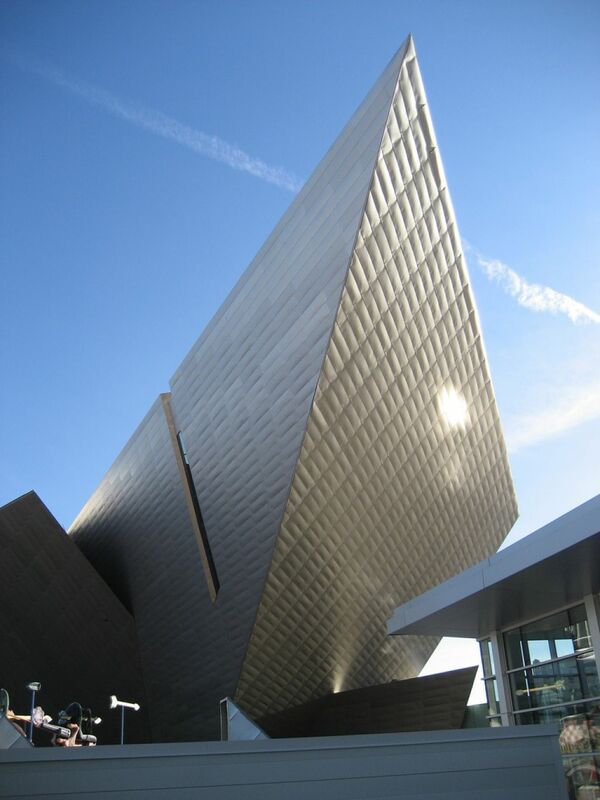 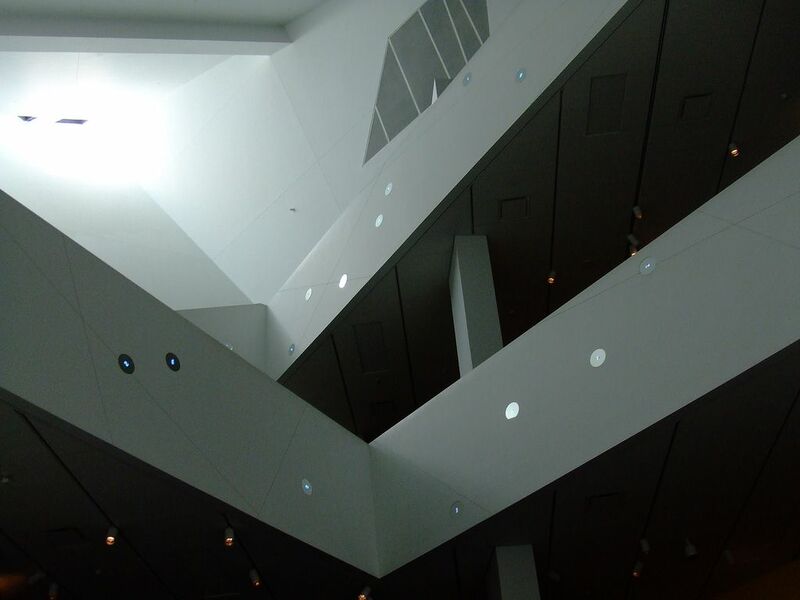 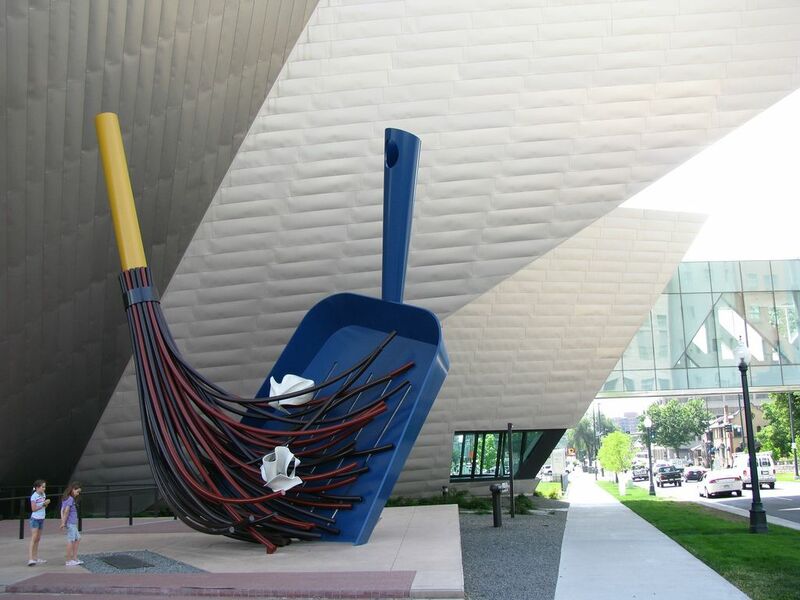 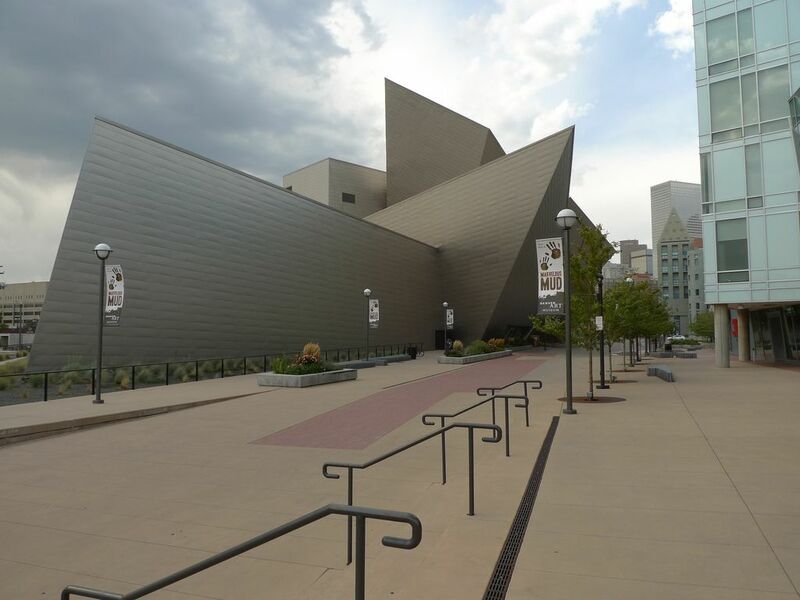 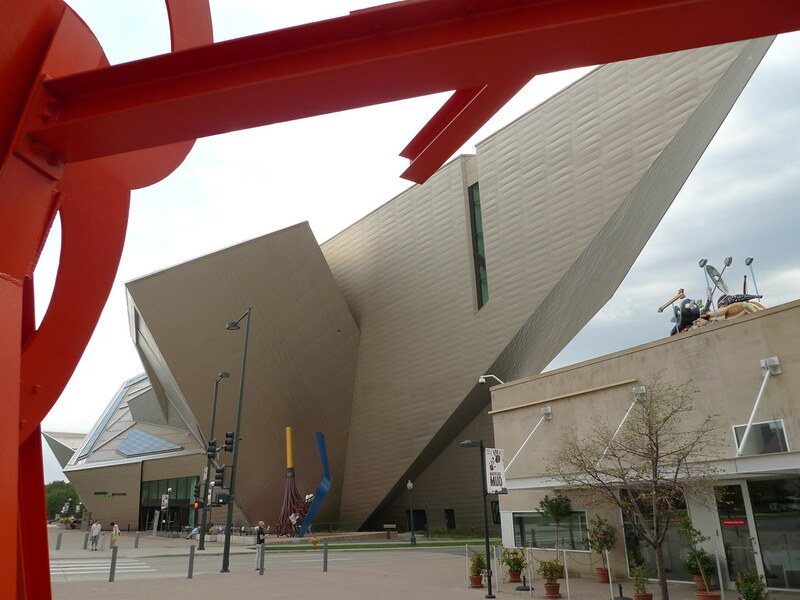 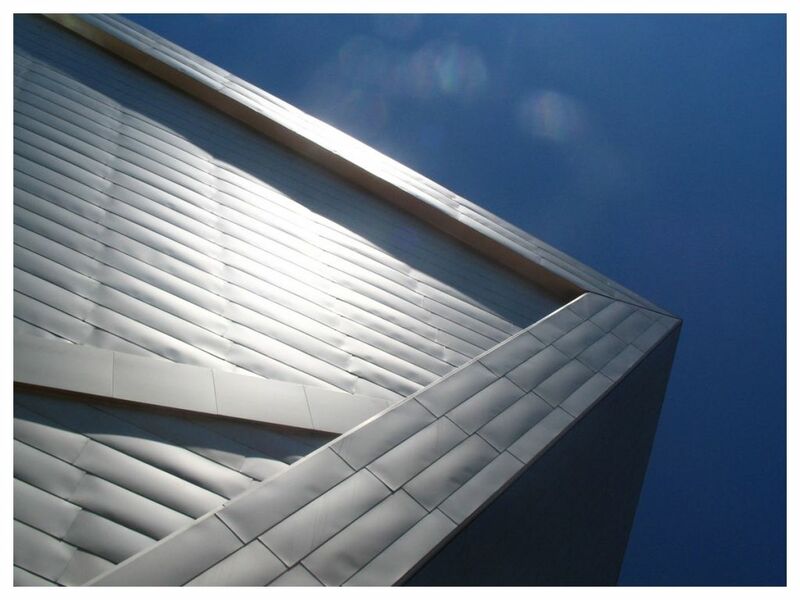 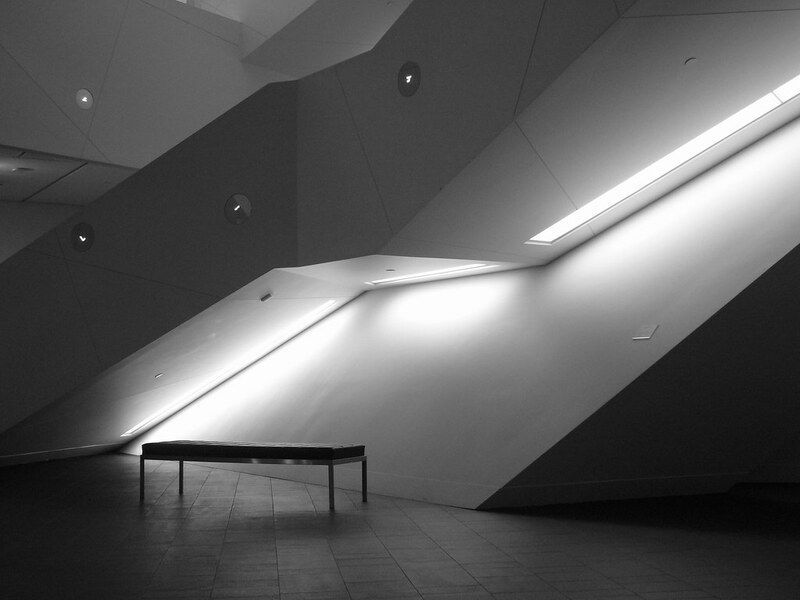 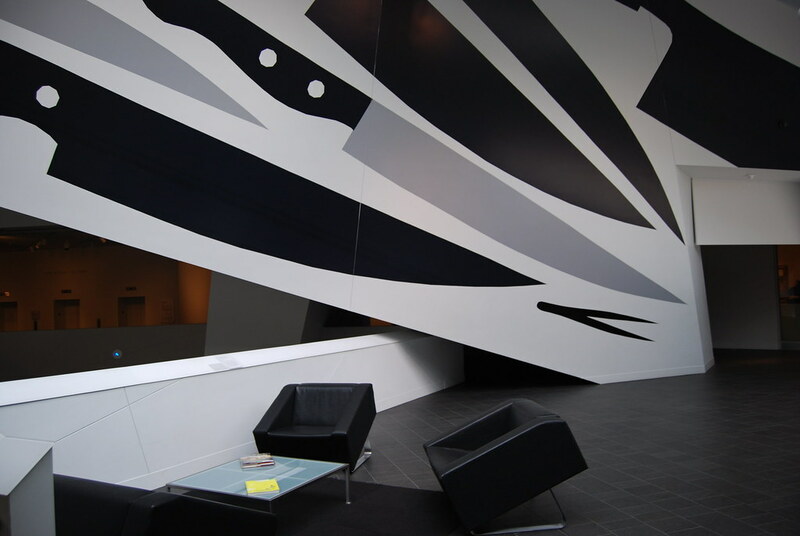 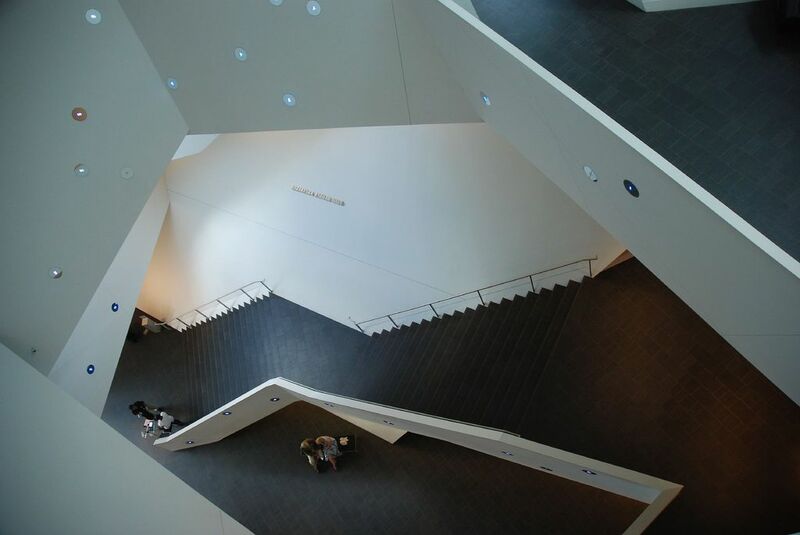 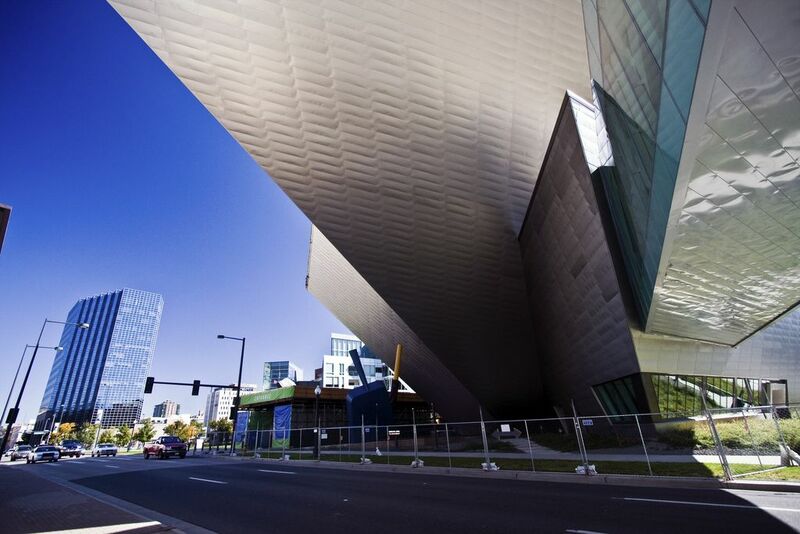 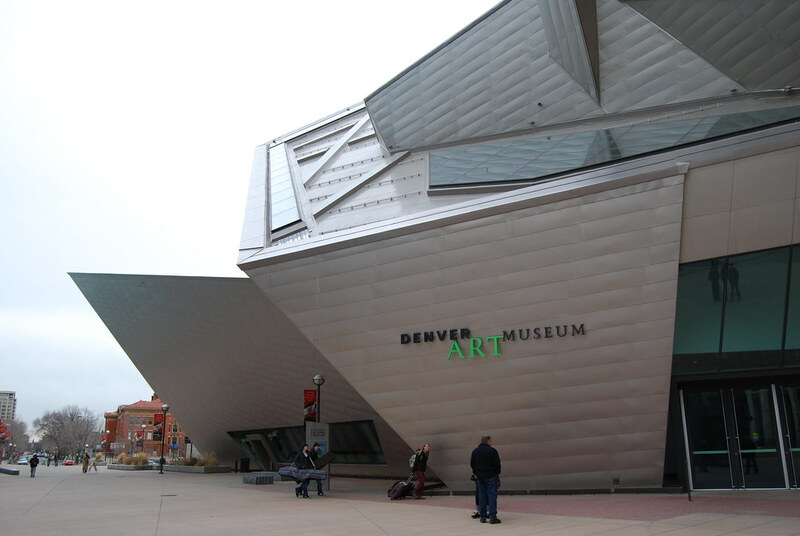 The Denver Art Museum’s Hamilton Building is an architectural work of art. 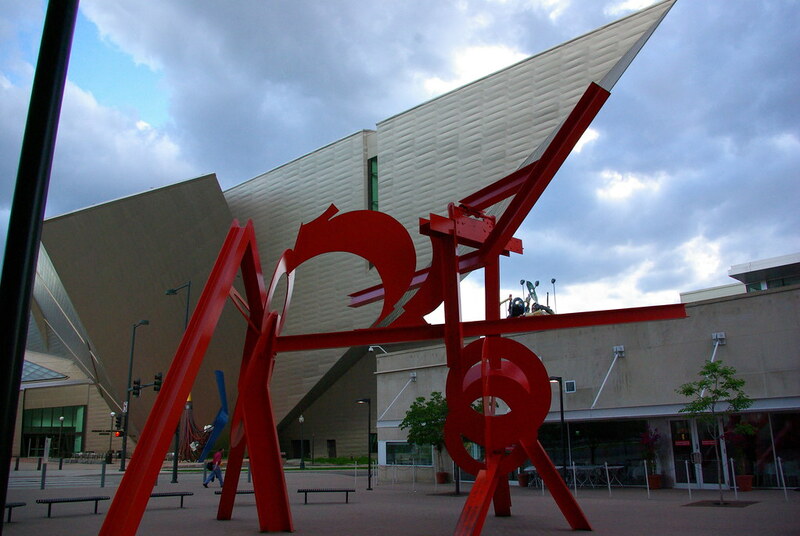 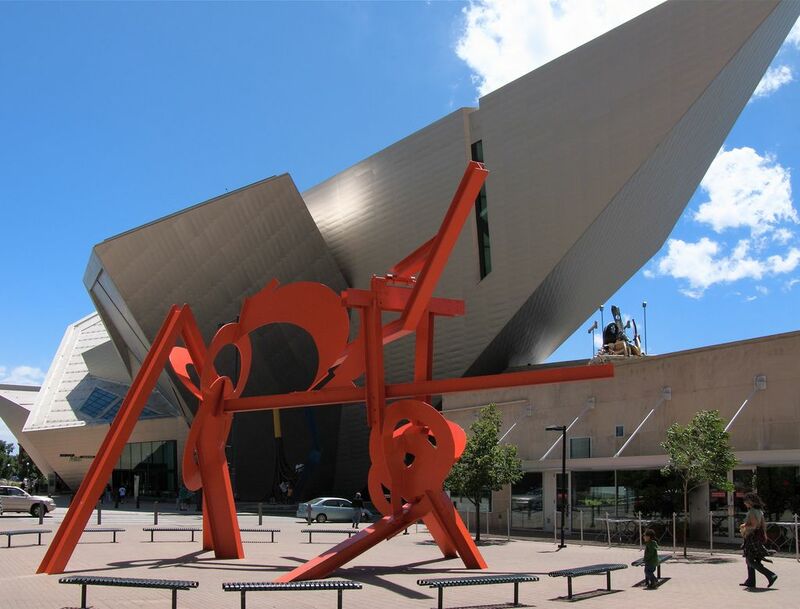 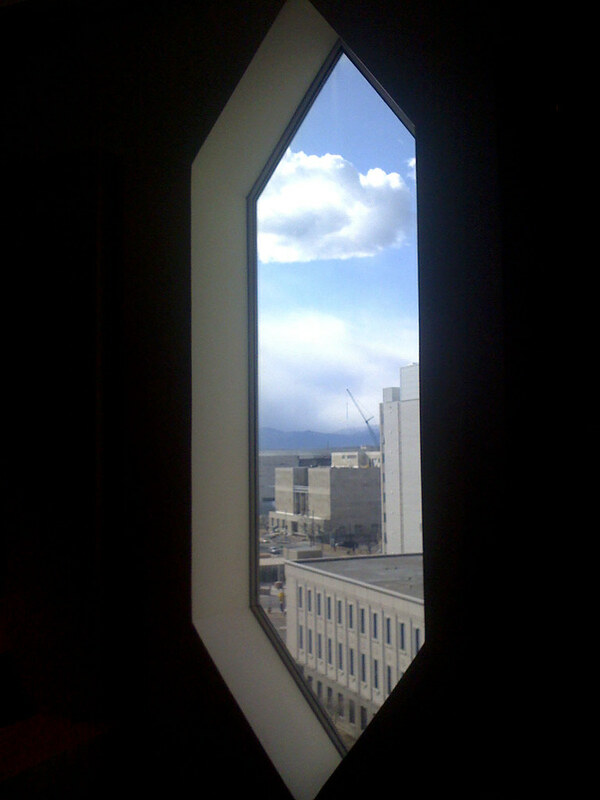 It is located in Denver\’s Civic Center. 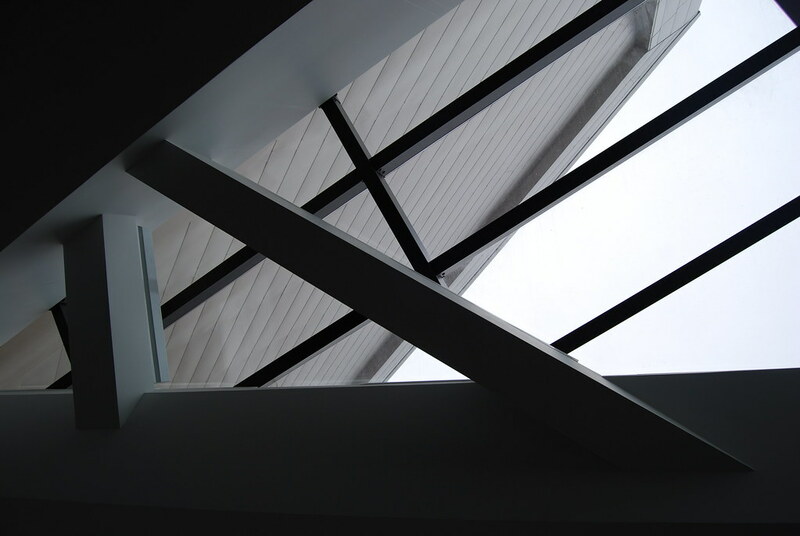 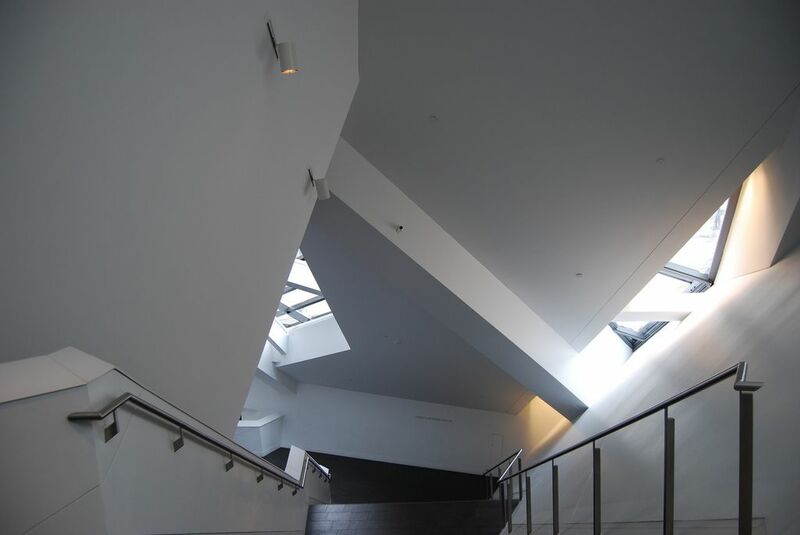 The cubist-like building’s exterior is composed of highly reflective titanium, while the angular interior houses art from a variety of genres.